Brother, Can You Spare a Career? Have you ever heard of something called a quarter-life crisis? It’s probably always existed, but maybe not coined until recently. This week I have thought often about this comment, especially in light of my post earlier this week, The Ethics of PTSD Disability, or “Meet Brandon, the Rational Soldier, which outlined my thoughts about some persons’ concerns that modern combat veterans may have “incentives” not to get better so that they will not lose their government disability payments. Again, first, it is important to remember that in the United States we have long had an all-volunteer military. Second, it is also important to remember that while there were some times during the current conflict in which the military more readily inducted troops who had been, shall we say, struggling in life (educationally, vocationally, morally, you name it), that has been, throughout the course of the conflict, far more the exception than the rule. Troops may or may not have enjoyed “traditional classrooms” in their high schools (and even colleges), but the vast majority of those who have been serving in the modern American military are quick-learners and driven. Those that aren’t usually don’t make it far enough to get themselves (and just as importantly, others) into trouble. But third–and for the purposes of this post, most important–from the very moment troops walk into boot camp, they are imbued–maybe better put, infiltrated and colonized–with a sense of purpose/mission. One does not endure those weeks of training without committing oneself absolutely to the missions of performing at one’s best, whether physically or mentally; of committing oneself to the life of the men and women next to whom one is standing; and of committing everything one has, even one’s life, to ideals that are bigger than oneself. I simply cannot overstate this. Most civilians do not get this: most troops–and to this day, most veterans, young or old–can remember the physical sensation, down to the very gut, soul, and neuron, of mission, of having a purpose, even when the day-to-day could be boring beyond belief. For even the boring was something that was endured so that a goal could be achieved, no matter how small, for all small goals united, eventually, to a big goal that could cost one everything. Thus, in a very significant way, young veterans are not having quarter-life crises. They are having “quarter-life-having-been-lived-and-now-what” crises. It’s not that they are searching for purpose that they’ve never had. They are searching to find a purpose equal to the one that they once had! Modern combat veterans are not lost. They have lost. Ask any modern combat veteran, no matter whether she has lost a limb or he has lost his skin’s integrity, whether she has lost her concentration abilities or he has lost his ability to sleep through the night without hearing screams and gunfire, whether she looks like a million dollars or he looks like death warmed over: would you go back over there, if you could, in your uniform, with buddies old or new? What answer will get, immediately and forcefully? If you can’t begin to get to get that, whether or not you ever will be able to get that–then you’ll never get combat veterans. No. None other. No. 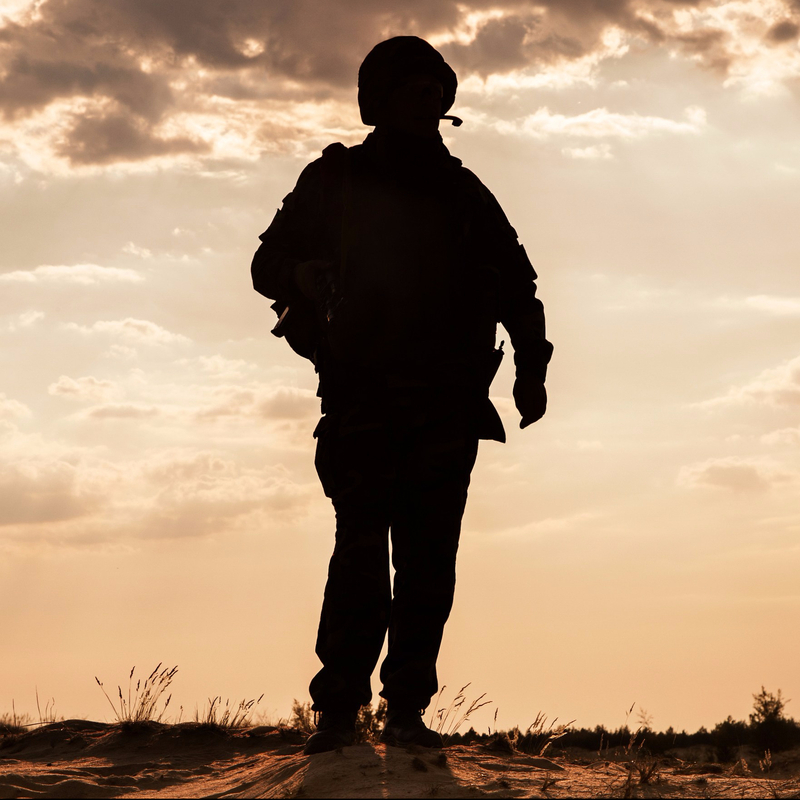 If you are ever to understand modern combat veterans, then you have to know that even when the veteran voluntarily left the military, most likely he or she was ready to go–and not. And certainly you must understand: for many, many veterans who were medically discharged–even with their “oh, I’m going to get so used to this, I just won’t be able to give it up” disability pension–they left the military not only involuntarily, but with a heart and soul that were devastated. The military was going to be their career. They were going to make something of themselves. They volunteered for the military in a time of War. They were–and are–ergo, warriors. Warriors strive, build, fight, not just for kicks and giggles, but for emotional, physical, spiritual fulfillment. Most (I’ll even say, almost all) don’t want to hurt. They don’t want to kill. But they will do both, if they have to, to protect. It is the mission of protection that fulfills, not the violence. If you think otherwise, then you don’t get it. Go right ahead: trot out some bad eggs for Prosecution’s Exhibit One through How-Many-Ever, pontificate, j’accuse with the best of them. But you’ll run out of examples, and mighty soon. What you will be left with instead are men and women trying to come to grips with what they did and did not do–but all for a mission, a purpose, a reason, even if simply to survive and to bring home with them those about whom they cared most deeply. Many enlisted men came into the military quite young, although many, true, were older. No matter: young or old, most were quick-learners and driven. Many advanced quickly. Many ended up responsible for the lives of men and women who were their peers, sometimes even their elders. They learned to make important decisions, often quickly, often with precious little information. When they succeeded, very often they were recognized for those successes, publicly. Not only were they on a mission, they knew that they had already been and were going to continue to be an important part of that mission. Not only were they going somewhere, they were going there with their mojo. And then all that stopped. Maybe they asked for it to stop, i.e., they left voluntarily, tired of the hassle, wanting to get back to some semblance of a family, an education. Maybe they fought tooth and nail to prevent it from stopping, by hiding, bargaining, begging away their struggles, their challenges. Maybe they were sent away ruthlessly. Maybe they were sent away regretfully. No matter: one day, it stopped. And then, all warrior-like, they were expected to wait their turn for the cashier at the Arby’s who’s just learning the new system. Or answer to some so-called “manager” who is two years younger than they are and who has never branched much outside the surrounding counties of the godforsaken town they all grew up in, except maybe once to go to Disneyland or Disney World or Yosemite when they were in middle school. Or try not to sucker punch the guy working next to them who’s bellyaching about that no-good son of his third wife, who, by the way, thinks she’s one of the Khardashians or something, sitting around all day watching Ellen and The View like she does, spending (and eating) him out of house and home just to keep that loser kid from moving in with his even-bigger-loser father, good riddance! Once they commanded respect, these combat veterans. Once they spoke and things happened, big deal things. Maybe they were just twenty-two, twenty-five, twenty-eight years old, but they were making their mark, doing it right, making a difference, even in the boring and down times. Now, if they’re lucky, they’ll get an occasional “thank you for your service!” Eventually, somebody somewhere will ask them, “Did you kill anybody?” More than a few somebodies will say to them, “You know, you’re different now that you’re back.” They might realize that the math that they could do in their head before that IED exploded is now, well, more challenging, and that the kid right out of high school, sitting next to them in their community college classroom, is looking at them funny. It was “Al” all the time. So now, eighty years later, comes the question: “brother”–or as the veteran, Al, said a bit more bluntly in the song, “buddy”–can you spare a career? It’s an age of technology and globalization these days, iPads and group projects via Skype. “So, well, there’s this vet, see, good guy, truck got blown up by an IED in Afghanistan, lost his best friend since boot camp. He’s looking for something to do with himself, see? I mean, the kid’s only twenty-five, and he’s got three kids of his own already, and he and his wife aren’t doing that hot, worrying about money and all that, you know, but I think it might work out if we could find him some work, but, you know how it is, he drove trucks in the Army and so, well, it’s not like he learned how to run computers or anything, but he was medically discharged, and he’s wanting to find something to do, and, you know, he’s only twenty-five, so he can’t live off the government forever, you know what I mean? So, I mean I know that you’re not sure you want him for that job that takes all those hours of focus and concentration, and I understand that, and I know that you guys are doing that team-thing you’re doing and you’re a little worried that he might fly off the handle or something like that, but trust me, that won’t happen, or if it does, he’s got a counselor at the VA, and you can call her and . . .
“He’s just a kid, you know, kind of like those kids you get right out of college, not really sure what they want to do now that they have to go out on their own, without someone telling them what to do, so maybe you could just find him something, you know, Christmas coming up and everything, sort of a patriotic duty, think of it that way. I mean, don’t go overboard or anything, I mean, he’s got his disability, so he’s not going to need that much, maybe a little something for some extras, you know. Yup. That’s why he volunteered to run the risk of dying in the middle of a desert, just so that he could play his video games and not have to worry about doing anything like, say, making a meaningful, purpose-filled life. I mean, he was in the military, after all. You know, I really appreciate your blog new entry arrivals. You have very good insight into this issue. I have found that many do not. You nailed it with your third point regarding sense of purpose. I doubt the disability ever goes away, therefore the rating and compensation should never go away for these boys and girls. All any of us can do is find ways to get over the hump. Thanks for what you do. Thank you as well for all your support and your thoughts.